Welcome to the SQL Server Community! Connect and discuss the latest SQL Server news, updates and best practices. Third party promotional content will be deleted. Thanks for your help keeping this community a vibrant and useful place! 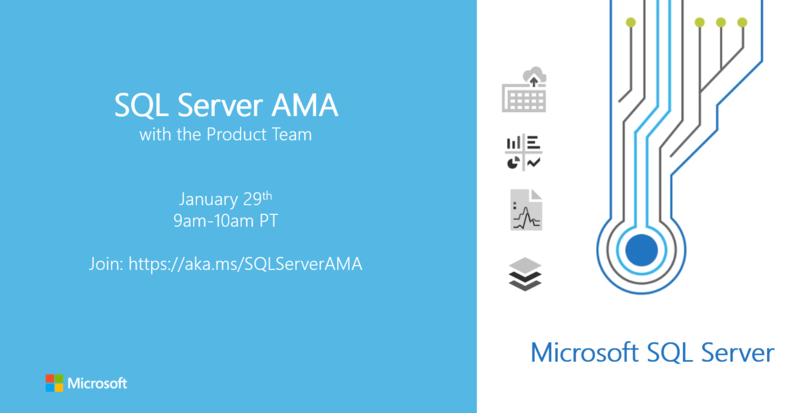 Join us on Tuesday, January 29th, 2019 from 9:00 a.m. to 10:00 a.m. PT in the SQL Server AMA space.